Adam Osidis and the Mosak travel the blasted lands of Zhal to deliver the Mud King to the only force strong enough to undo his stranglehold on his army of compromised slaves. The Mud King's whispers have made Adam Osidis the most hated man in Zhal, but when he offers Adam a solution to all his troubles, will he join the calculating monster and betray his fellow Mosak for a second chance at life? RICK REMENDER & JEROME OPEÑA's smash-hit dark fantasy series returns for its second chapter! 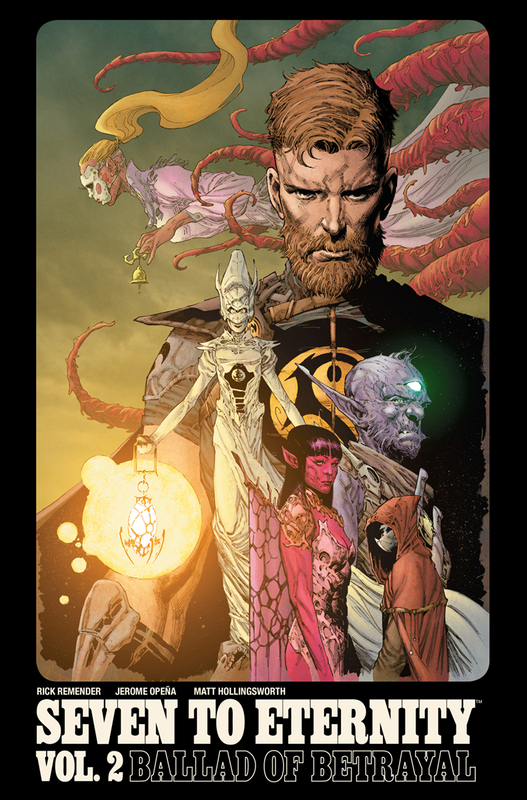 Collects SEVEN TO ETERNITY #5-9.